Some patients are experiencing less pain and quicker recovery after knee replacement surgery because of an innovative pain block that control pain without loss of muscle strength. “It’s made a significant difference in the patient’s ability to do exercise faster, to regain range of motion and to shorten the length of rehabilitation time,” said Rick Bauersfeld, a physical therapist with McLean County Orthopedics, Bloomington. The pain block is called fascia iliaca block and it’s used by anesthesiologists with Anesthesia Consultants, who practice at Advocate BroMenn Medical Center, Normal. They claim to be among a small percentage of Midwestern anesthesiologists who perform the blocks regularly. “What we are doing here remains rare,” said Dr. Ben Taimoorazy, Anesthesiology Consultants’ president. While he began using the pain block several years ago, he and other anesthesiologists in his group, including Dr. Courtney Leddell, are using it on the vast majority of their knee surgery patients and are using a similar pain block for most shoulder surgery patients. The doctors have had success with the pain block and more patients are requesting it. “We average about 15 (procedures) a week and about 95 percent of them are knee,” Leddell said. Fascia iliaca block represents the progression of pain control for joint replacement surgery and is part of regional anesthesia for limb surgery, meaning only the region affected by the surgery is anesthetized. “Regional anesthesia is becoming a very important part of our practice,” said Dr. Paul Naour, an anesthesiologist with McLean County Anesthesiology, which provides care at OSF St. Joseph Medical Center, Bloomington, and surgery centers in Bloomington-Normal. While that anesthesiology group does not perform fascia iliaca, it does another regional anesthesia – femoral knee blocks for total knee replacement, Naour said. “Use of (pain) blocks is a huge boon for patients and involves less narcotics,” Naour said. Several years ago, intravenous pain medicine was the most prevalent pain control for limb procedures but those medicines affect the entire body rather than just the surgical site. Pain may be controlled but the narcotics often result in side effects, including grogginess, nausea and constipation, said Doug Brown, director of surgical neuroscience and acute rehabilitation at Advocate BroMenn. In addition, patients who received the medicine using a pain pump often experienced “peaks and valleys” of pain control, meaning they either were in pain or their pain was controlled but they’d be asleep, Brown said. The next step – spinals or epidurals – involves pain medicine injected to provide pain relief to the lower part of the body. However, some people don’t like the sensation of not feeling their lower body and the lack of movement delays therapy and recovery from surgery, Brown said. Also, weakness in the lower body for awhile increases the risk of falls, he said. The next step — nerve blocks — involve anesthesiologists identifying nerves that supply the part of the body that will be operated on and injecting local anesthetic around those nerves to numb the area of the surgery. A femoral nerve block involves the anesthesiologist injecting medicine in the vicinity of the femoral nerve, at the upper thigh. McLean County Anesthesiology uses femoral nerve blocks for knee surgery as a single injection or via a catheter, which provides a steady supply of medicine over several days, Naour said. “We’ve had good success with femoral nerve blocks,” he said. But Brown said femoral nerve blocks – which control pain – result in weakness in the affected leg, which delays therapy and increases the risk of falls until the nerve block wears off. With fascia iliaca block, an anesthesiologist inserts a small catheter in the upper thigh directly on nerves of the fascia iliaca, an area where nerve supplies for the lower extremities come together. 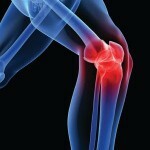 Anesthetic medicine is injected through the catheter to block pain in the knee. The catheter is left in so more pain medicine is delivered – via a pre-set medication delivery pump – after surgery and over the next several days. Pain signals from the knee to the brain are interrupted and pain is controlled without narcotics, meaning less grogginess, nausea and constipation, Brown said. But because pain medicine is not delivered to the muscle, the muscle doesn’t lose strength. 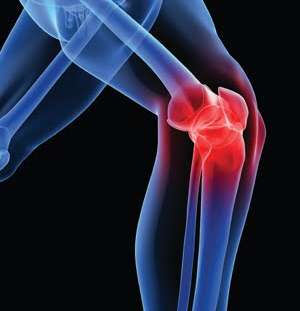 With muscle strength remaining, knee surgery patients are less likely to fall and can begin rehabilitation sooner. “The sooner they can do physical therapy, the sooner they can recover,” Leddell said. “Now pretty much everybody (at BroMenn) gets fascia block for knee replacement,” Brown said. After a week, a nurse is sent to the patient’s home and pulls out the catheter. Besides the pain block, most patients need only Tylenol, Taimoorazy said. “The people who had surgery the old way are saying they can’t believe the pain control with this,” Brown said. Naour said McLean County Anesthesiology doesn’t use the fascia iliaca block because it has a higher failure rate than the femoral nerve block, meaning sometimes fascia iliaca doesn’t alleviate pain well enough. “When it works, it’s great,” Naour said of fascia iliaca. But because it doesn’t always alleviate pain enough, the McLean County group doesn’t use it because it can’t accept a higher failure rate given the large volume of cases that they handle, he said. For more information about knee pain diagnosis and treatments, you may contact your local sub-specialized physician Dr. Benjamin Taimoorazy at Guardian Headache and Pain Management Institute, Located in Bloomington Illinois .